1956 Cortina d'Ampezzo (Winter)/Melbourne (Summer) - At that period Winter and Summer Games were held in the same year. This is a joint issue for both, hence the skier. The two breaststroke medals by Gurgica Bjedov were Yugoslavia's first medals by a woman. 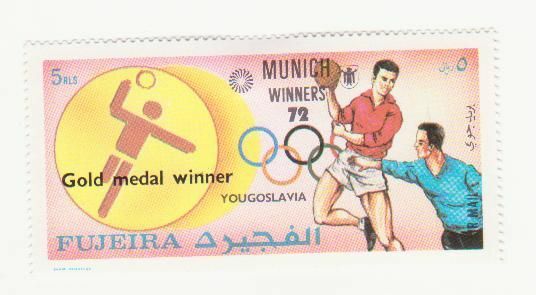 Handball may have been reasonably easy to win that year due to the fact that Diego Maradona was still only 12 (that will go down like a lead balloon everywhere except England) but the team received that most prestigious of all philatelic awards - a commemorative stamp from Fujeira! And if you look at the player in blue you may get an insight into the origin of the word handball. 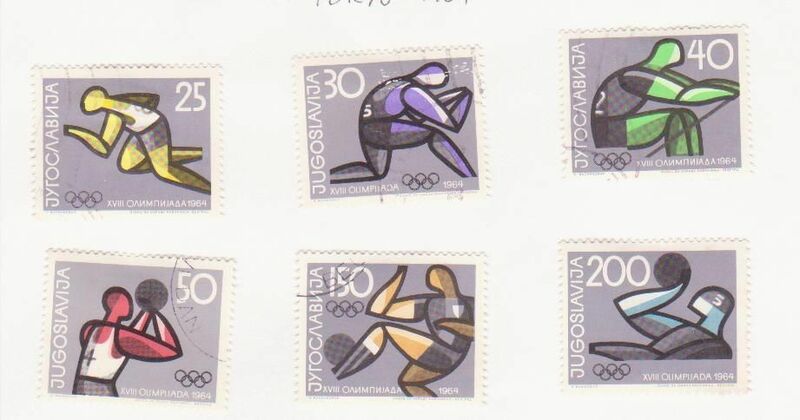 To all those who are muttering that they have another Sarajevo Olympics stamp, completely different to all the types I have illustrated - wait patiently till the end, and there you will meet up with another group who have muttered very similar things ever since we did the Mexico City stamps. All will be explained in time. The second set was produced after the games and represents the 8 sports in which their medals were won. 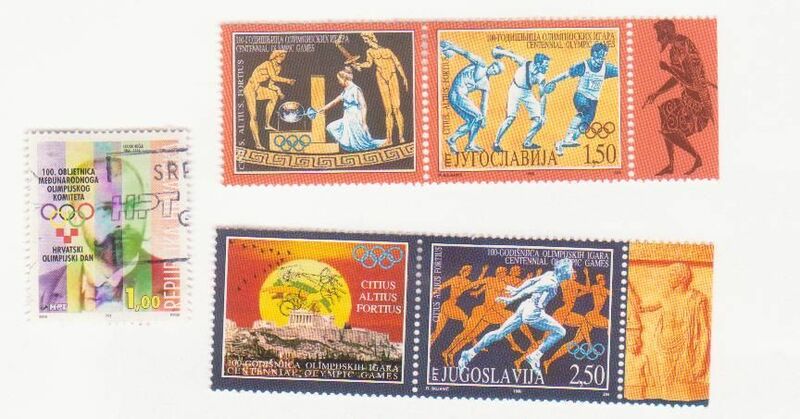 As before, the second set was produced after the Games and represents the sports in which medals were won. 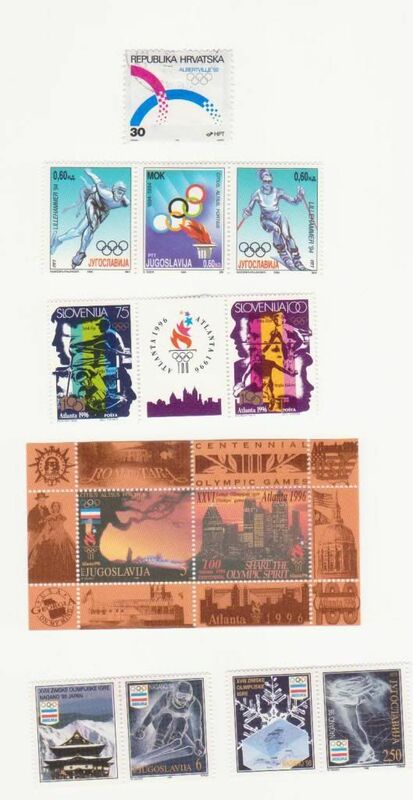 And therewith my Yugoslav Olympic collection pretty much ends. By 1992 the civil war had begun. By the time of the the Winter Games at Albertville some of the secessionist states were already competing separately. 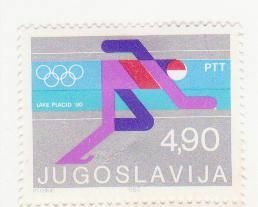 Yugoslavia was banned from the Summer Games at Barcelona, although some Yugoslav athletes competed under the IOC flag. Three of them (2 women, 1 man) won medals (1 silver, 2 bronze): whether ironically or appropriately, given what was happening at home, all three medals were for shooting.They were readmitted to the Summer Games in 1996. 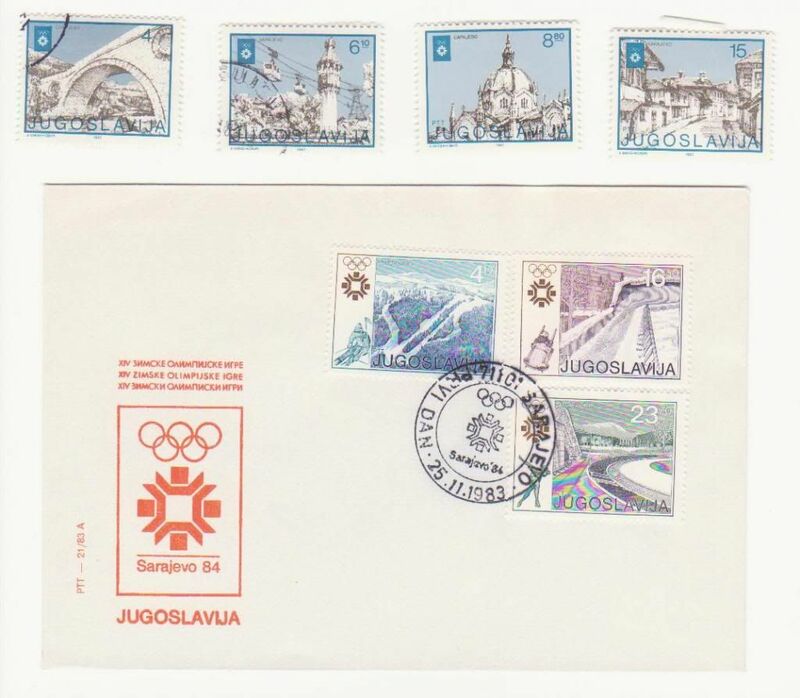 Nevertheless Yugoslavia produced stamps for Barcelona and Lillehammer, even though banned from the Games. 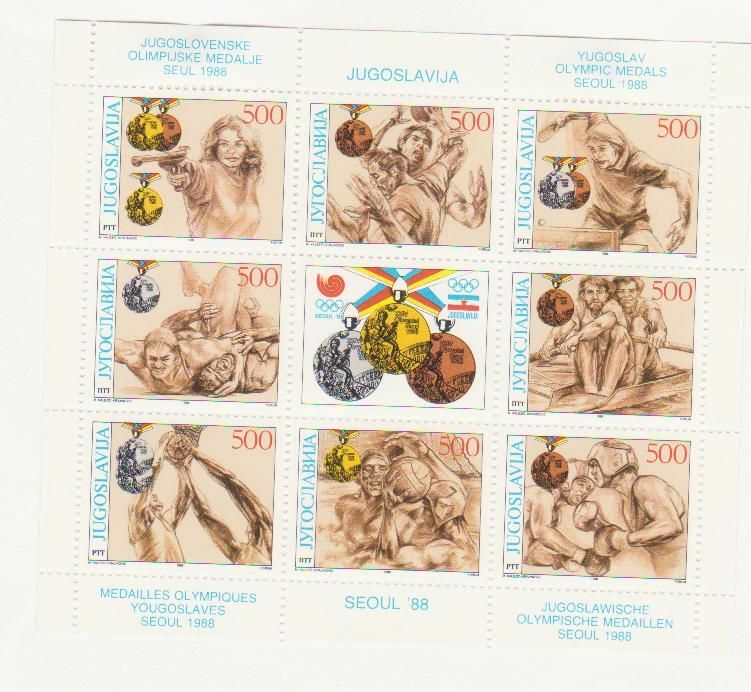 I append a few desultory stamps for the period 1992 onwards produced by Yugoslavia itseld, or its succession states. 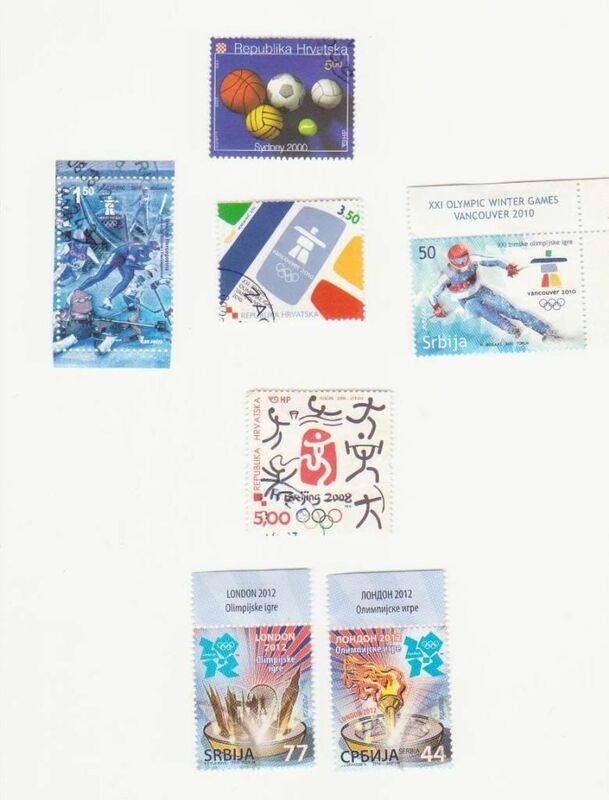 Someone who collects Olympic stamps of this period seriously may like to take up the torch. 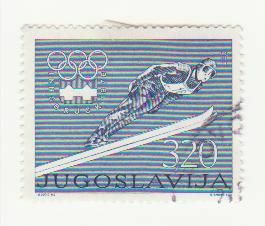 In addition the Centenary of the IOC was commemorated by Croatia in 1994 and the Centenary of the first modern Olympics by Yugoslavia in 1996. Finally, to return to the stamps I alluded to earlier. 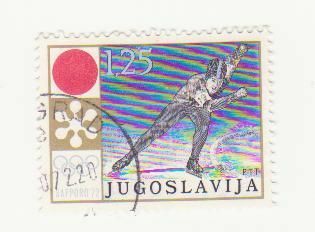 Most of you will know that it was the practice in Yugoslavia three or four times a year to have a charity week (or fortnight) during which all letters had to have an additional low denomination postal tax stamp added. The money raised went to the nominated charity. 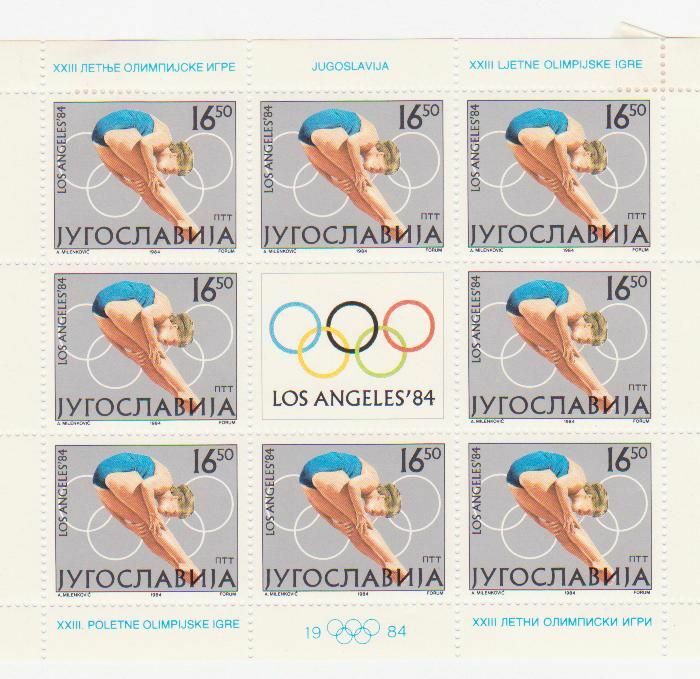 From 1968 to 1980 the National Olympic Fund was the recipient of this once each year. 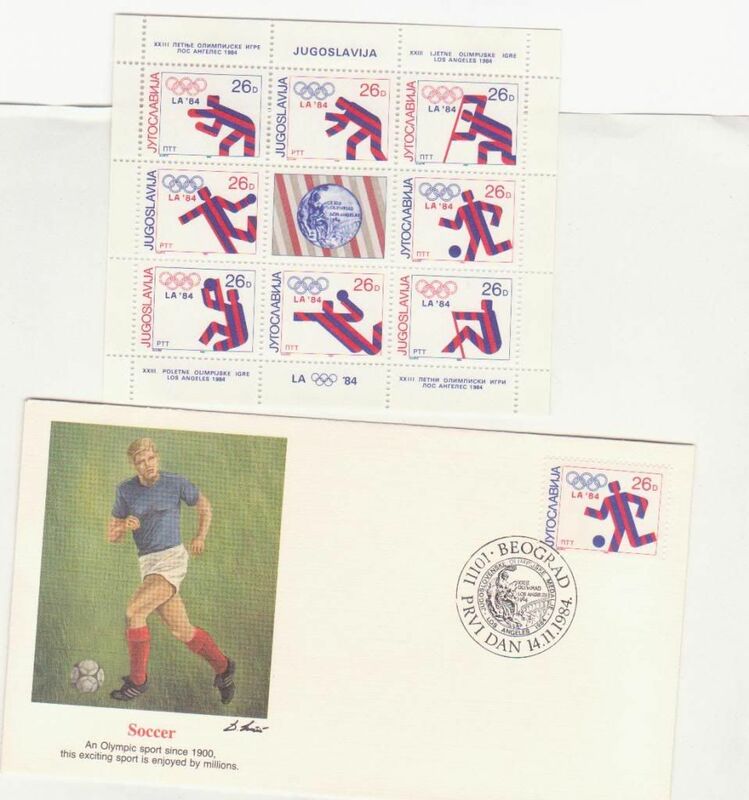 The 1968 stamp specifically mentions the Mexico City Games, but was actually produced after the event was over. 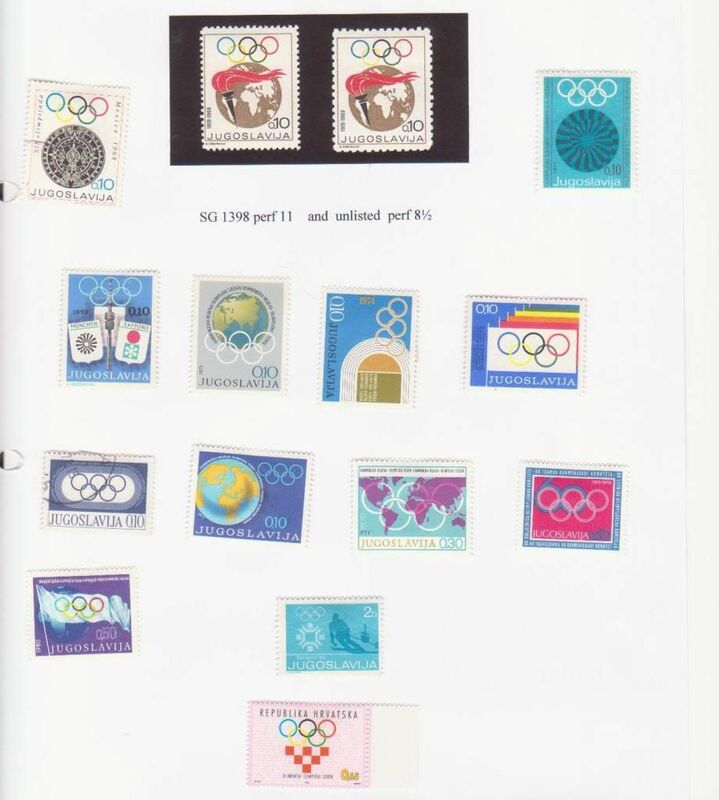 I apologise for the absence of the 1970 stamp, which I have - somewhere! If it turns up next time I defrost the freezer or clean the toaster, I will post it. I am aware that in Thematic collections it is not the done thing to include perf variations. I have done so for the 1969 stamp because many of you may not know it exists, since SG don't list it. When I found it in a '4p each' glory box I sent it to Gibbons so they could consider listing it. I received a very snotty letter saying that while it APPEARED to be what I said it was, they would not consider listing it until I could provide evidence that other catalogues were already listing it!!! How are the mighty fallen. In fact they didn't have far to fall. If someone wants to start a Horrors of Stanley Gibbons thread let me know and I'll contribute my SG1 Dhar story. In 1983 they did a one-off revival of the Olympic Fund charity tax to raise funds for the Sarajevo Games. 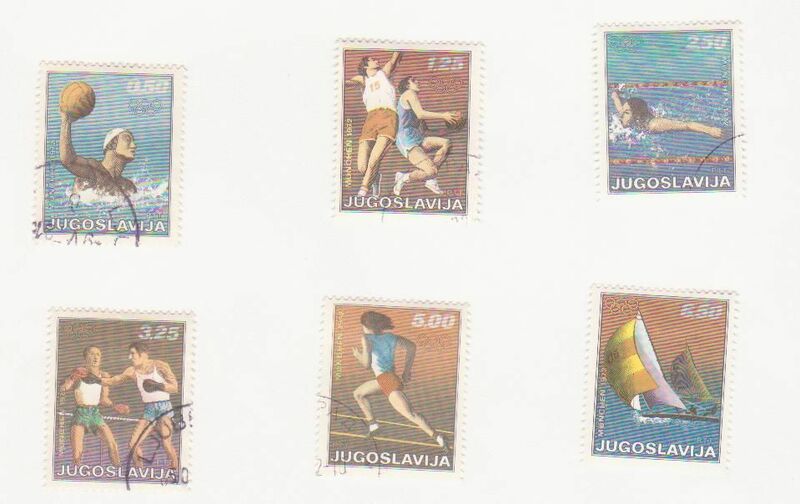 Yugoslavia never took it up again but Croatia after independence did; the last stamp is an example from 1996.